FREE shipping on all items with no minimum purchase. Our online wellness pharmacy has thousands of products. Find our most popular items below. Protect your dog or puppy against fleas & ticks for a full month! Chewables kill both fleas and ticks the following species of ticks for a full month! Protect your cat or kitten against fleas & ticks for a full month! Kills fleas, prevents flea infestations, and kills ticks. Each chew lasts for 12 weeks. Fast-acting and long-lasting control of fleas, ticks and chewing lice for 30 days. In order to purchase heartworm preventatives, Pets Alive requires your pet be tested for heartworms by our vets or be current on Pets Alive heartworm preventatives. This is to ensure the safety of the pet. Kills fleas, prevents heartworm disease, and treats hookworm, whipworm and roundworm infections. Protects your cat or kitten against fleas, ear mites, and roundworm and hookworm infections. Chewable prevents heartworm disease, controls hookworm, roundworm and whipworm. 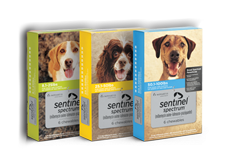 Chewables that protect against heartworms, roundworms, hookworms, whipworms, fleas and tapeworms. Chewable dewormer prevents heartworm disease, treats and controls roundworms and hookworms.